Tim O’Reilly of the Wild River Company in far north Queensland dreams of lonely lagoons full of hungry fish. The dream comes alive over the side of a small boat with mask, snorkel, fins and a spear to view the underwater world. Tim steps us through a few fishing and diving scenarios available to even small-boat owners accessing the Barrier Reef lagoons and flats. When the weather flattens out along Queensland’s tropical north coast, trailer boat fishermen start cutting lines from far-flung harbours into the blue yonder. Some are chasing a 1000lb black marlin while others are bait fishing the deep reefs and shoals. 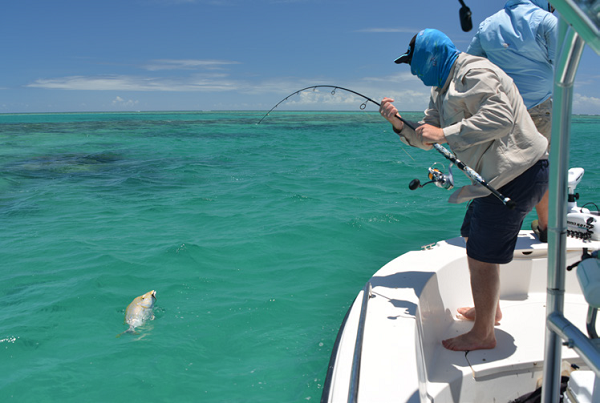 A good few anglers will be trolling reef and island edges, and fewer again might be drifting on top of the reef. 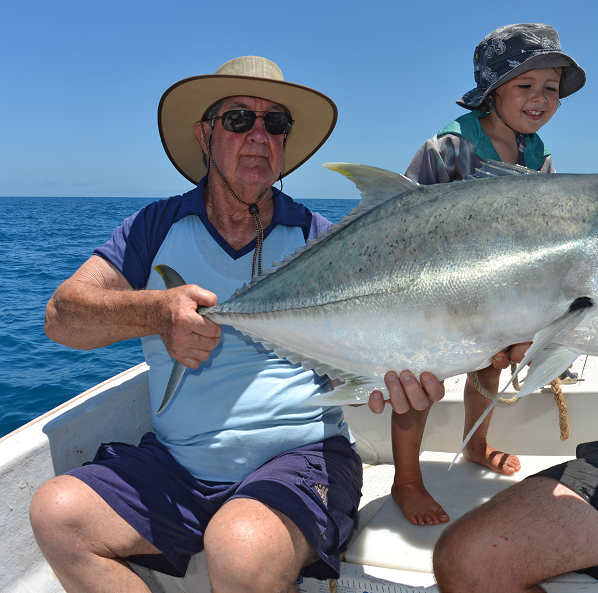 The eternal problem for those wanting to fish shallow reef flats and inner lagoon systems relates to boat draft and the ability to manoeuvre in super-skinny water. Planning any sea voyage in a small boat involves good knowledge of the tides and expected wind conditions. As always, the early bird catches the worm, so a start before sunrise is often on the cards. Safety, fuel and gear checks need to be done the night before to avoid disaster. Those few special months from September through until Christmas allow flat boats and shallow-planing hulls to venture up on top of some seriously remote reef. What do the shallows, flats and inner lagoons have that’s so special? For starters, a huge biomass of fish live on top of the reef flats for the length of the Great Barrier Reef. And these remain some of the least explored and visited parts of the reef. They’re vast tracts of shallows interspersed with lagoons and hard top-reef, much of it inaccessible from half-tide down. Mesmerising colour and movement is what typifies the reef. 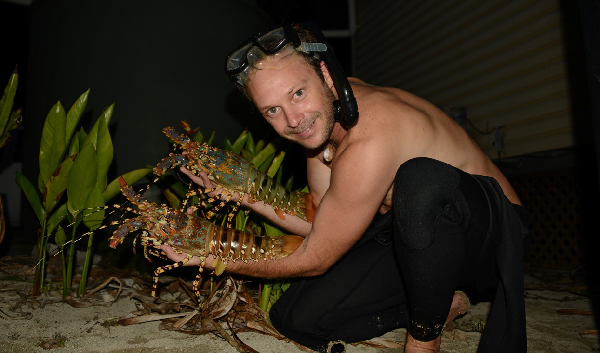 A few crayfish are a welcome prize whilst eyeing off bommies on the world’s greatest natural wonder. Back on the boat, fishermen considering the diversity of coral reef species to target are only limited by their imagination. However, it must be said fishing up on top in the shallows is not always best for the esky. Rough trips in small boats are a frequent probability. It’s a dedicated band of fishos who really enjoy this type of fishing. Becoming ever-more popular is drifting, or using an electric motor to glide over the shallow reef casting at edges, rocks, bommies, outcrops, gutters and current lines. A hugely rewarding and visual form of fishing is casting surface lures, skipping, sliding and blooping them back across the reef. It’s anticipation overload as you see the fish looming up and giving chase to the lure. Battles are swift and brutal and you certainly lose gear at times. Poppers, stick-baits, suspending and bibless minnows and a huge range of soft plastics are all effective in differing scenarios. Besides your full range of pelagic fish hanging off the edges, other silver speedsters such as the giant trevally, bluefin trevally, barracuda, queenfish, needle-nosed gar and rainbow runners all actually get up on top. Almost all reef fish will find their way on to a reef flat at one time or another, so the possibilities are vast. Anticipation plays a huge role in this very active cast-and-retrieve game. It amazes me still how the first hour is usually your best. When your senses are most keen and muscles most reactive, the bites just seem to come your way. Alertness and a relaxed sense of purpose will see some anglers rewarded more than others. A pair of good polarised sunnies is a must for this type of fisherman. Being able to define the structure beneath in varying depths requires glare to be reduced as much as possible. Those keenly perusing the water looking for signs of life, like ruffled bait and fish breaking the surface, will be rewarded. Generally when fishing this type of environment, it’s best to have a little run in the tide, but not too much. Just coming in and out of neaps is probably best, and fish will generally be moving about between the flats and lagoons during these small ranging tides. Most success, but not all, will come from the pressure edge where water is pushing against structure, sometimes further out in front of this area and sometimes in and behind. 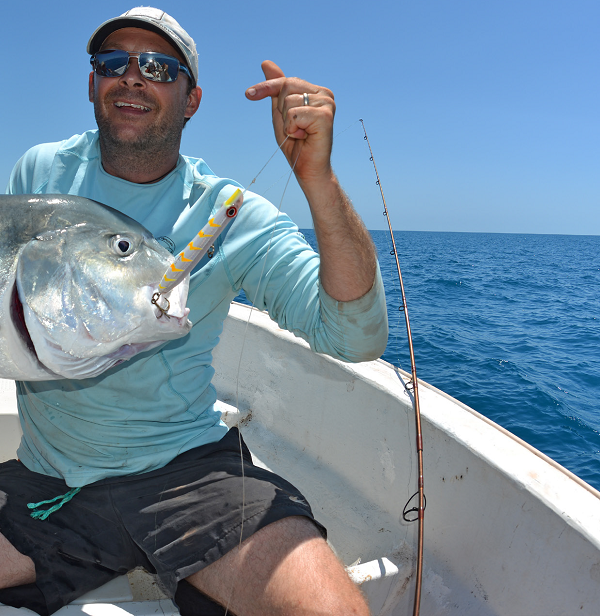 Shallow coastal reef patches can hold some extraordinary fishing very close to shore. During the Spring months when water temperatures are still cool and the water is crystal clear, fingermark, mangrove jack, coral trout, stripies, tuskfish and a host of silver predators might take up residence. Generally the coastal reefs up and down the east coast can look a little ragged when windswept by the south-easterly trade winds. But when the wind switches late in the year and a gentle north-easterly lets the reef lagoon clear up, things start to look brilliant quickly. I still recall clearly an image from last November when the morning breeze had died out, leaving a slow, outgoing tide of clear green water to pass over some scattered inshore reef. It was about 300m from the shoreline and a few flashy shallow divers were 30m behind the boat’s bubble trail, doing around 4 knots over the reef flat. A first convincing strike, followed by the second rod doubling over, signalled action. As these two fish streamed forward in the current towards the boat, they were being followed by a big pack of fingermark, all lit-up in bronze, pectoral fins erect and scales glowing. A third line hastily flung overboard with light string and a little plastic was engulfed on the surface by a big fish. The fight lasted only seconds, but the mayhem that ensued for about 10 minutes was intense, some won, some lost. Generally when you find a patch of fish up on top of the reef, it’s best to concentrate effort in that vicinity. Life attracts life, and fish attract other fish. The social chaos of it all comes to life for fisherman up in the clear reef shallows. You can literally see what’s going on. 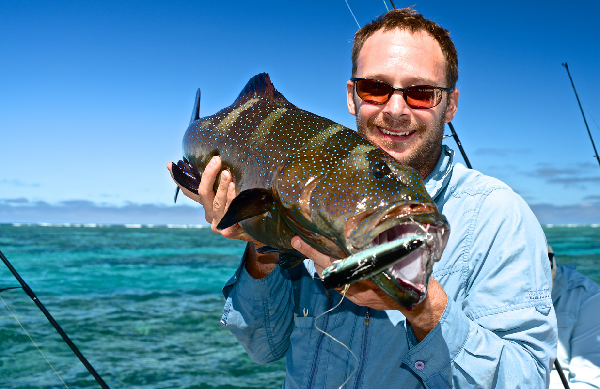 When a big thumping coral trout rushes over scattered bommies to inhale your surface lure, the heart skips a beat. Keeping them out of structure is another battle altogether. Most coral reef species know their lairs like the back of their fins and that first surge often finds them home amongst the sharp stuff. Getting up and on top of the reefs in the tropics involves capturing a glimpse of the Great Barrier Reef in all its glory. Life abounds and the fishing and diving can be a sideline to the magnificent spectacle played out for those with small boats and big plans.